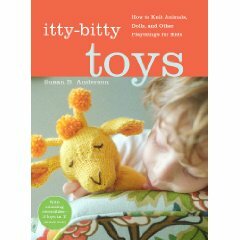 On Todays show I have a great discussion with Susan B Anderson about her new book “Itty Bitty Toys“. She shares her influences and thoughts about the book as well as her other projects. In the Yarn-a-lot I talk about my joy of finally making it to Creative Fibers in Windsor, CT (near Hartford). I am also getting ready to go on a trip with Tactile Travel to Rhinebeck, wehre I will be live posting my trip to fibercrawl.com over the weekend. You can also follow my live feed through my twitter account.